NEW research has revealed eastern Australian humpbacks are taking the 'scenic' route as they travel to and from their Antarctic feeding areas. Trish and Wally Franklin, directors of The Oceania Project and PhD candidates with Southern Cross University's Marine Ecology Research Centre, have matched photos taken in Hervey Bay on Queensland's Fraser Coast with images from New Zealand, showing eastern Australian humpbacks are travelling between New Zealand's north and south islands using the Cook Strait. 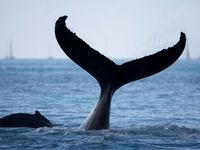 "Previously most people assumed that the humpbacks would travel down the east coast of Australia, past Tasmania, before arriving in Antarctica," said Wally Franklin. 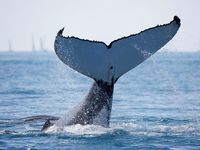 "It's been quite a revelation to learn eastern Australian humpbacks are in fact using New Zealand waters. "These migratory patterns have probably been going on for many thousands of years." The study will soon be published in the Journal of Cetacean Research and Management, along with a second research paper that confirms eastern Australian humpbacks are feeding in and around the Balleny Islands. The Balleny Islands are a series of uninhabited, heavily glaciated islands of volcanic origin in the Southern Ocean near Antarctica. Nala, a female eastern Australian humpback whale, was photographed near the Balleny Islands in March 1997 and again in Hervey Bay in September of the same year. She is one of a few fluke-up feeding mothers visiting Hervey Bay. "From the whaling days we have a lot of information about large catches from the Balleny Islands area, but we were lacking evidence of eastern Australian whales gathering there," Mr Franklin said. 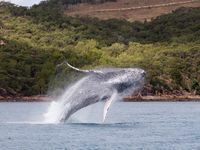 "But thanks to the photo ID project, we learn eastern Australian whales are going there to feed on the abundance of krill. We can't discount the possibility of whales from other parts of the Pacific coming to that area too, but it may be to do with the timing of the migration of other groups. We'll have to wait and see." 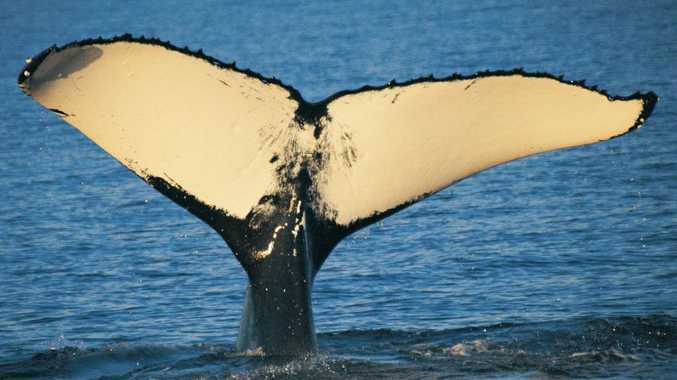 The Fluke Matcher computer program, developed by Southern Cross University and the University of Newcastle, enables researchers to track the movements of the humpback whales using photographs of their flukes (tails). Mr Franklin said: "The importance of photo identification is that it's a benign technique that enables us to study a wide range of marine mammal populations, in particular the humpback whales. Using photo identification we can study migratory movements, abundance, behaviour and movement of individuals between populations." Both studies were made possible thanks to a collaboration between Trish and Wally Franklin, scientists from the South Pacific Research Consortium and New Zealand Fisheries. The Franklins have clocked up 22 years compiling information on the long-term social behaviour and organisation of humpback whales. The pair conducts their research on the waters of Hervey Bay, heading out for a week at a time over the months of August, September and October. Mr Franklin said the principal funding for these studies came from paying eco-volunteers, who join the research team aboard the expedition vessel and become involved in assisting with the research and learning about humpback whales. 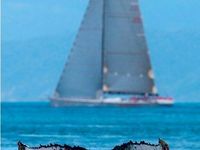 "On average, we spend time with seven pods and 40 individual whales a day while we're in Hervey Bay," he said. For more information about eastern Australian humpback whales, visit: www.oceania.org.au or www.scu.edu.au/research/whales.